Crémant is a sparkling wine made in the traditional “méthode Champenoise” (the method used to make Champagne) in other parts of France. Champagne, being a legally protected word, is not allowed to be used for any sparkling wine produced outside of the Champagne region. Therefore the sparkling wines of Alsace, Burgundy and the Loire Valley amongst others are called Crémant. Crémant is a nice alternative to Champagne and often less expensive. 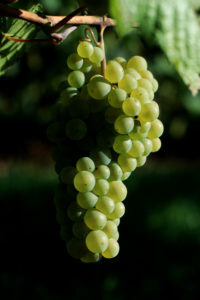 It is made from local grapes and therefore styles vary depending on the region. Also, let’s be honest, if you want to be a wine expert, you have to try them all. Handy tip: We strongly recommend that you do not call Champagne Crémant or vice versa unless you want to upset the entire country… the French are really serious about their wines. If in doubt don’t say anything and just drink it! Crémant is mainly produced in Alsace, in Burgundy, in the Loire Valley as well as in Limoux. 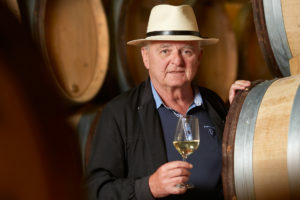 Crémant d’Alsace has been produced in Alsace since approximately 1900 and is mostly made from Pinot Blanc grapes but can also contain Pinot Gris, Riesling, Pinot Noir and Chardonnay. Crémant d’Alsace can be white or rosé and pairs very well with seafood and cheeses. You can try some of the Alsace Crémant on our Essential Strasbourg break! Crémant de Limoux are produced around the city of Limoux in the Languedoc region (not far from the stunning walled city of Carcassonne) and is made from Chardonnay, Chenin Blanc, Mauzac and Pinot Noir. The Crémant de Limoux can be white or rosé. Also, Limoux claims to have been making sparkling wine since 1531, over 100 years before the first sparkling Champagne was produced. Crémant de Loire is a dry sparkling wine mainly produced from Chenin Blanc grapes. It can also contain Chardonnay, Cabernet Franc, Cabernet Sauvignon and Pineau d’Aunis. The wines are produced mostly around Saumur (why not check out our Essential Saumur package? ), however you can also find some in the Touraine and Anjou areas. They have fruity flavours and acidity and can be rosé or white. They are perfect as an aperitif with platters of cheese and cold cuts or with seafood (especially after a long day of visits of the breath-taking Château de la Loire, you certainly deserve it!). The Crémant rosé pairs very well with chicken. 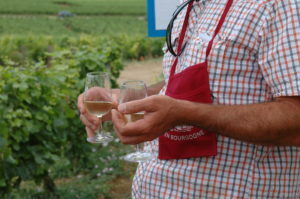 Crémant de Bourgogne are white or rosé produced with Pinot Noir, Chardonnay and Gamay grapes. Firstly made at the beginning of the 19th Century, the production of Crémant de Bourgogne now represents ten percent of all Burgundy wines. They have recently been reclassified by the local producers in order to better recognise and protect their great quality. The Blanc de Blancs have notes of citrus fruits, green apple and white flowers and develop apricot and peach flavours as they age. Blanc and Blanc de Blancs can be paired with poultry and fish. The Blanc de Noirs have aromas of berries and develop spicy notes with time. It goes especially well with braised meat. The Crémant rosé is ideal to accompany desserts. We hope that this little introduction helped. 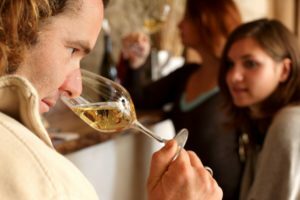 Now, we have one last tip for you: to master the basics of Crémant, there is no better way than tasting them! Why not book one of the breaks mentioned above, or even combine several, for a grand Crémant tasting break! You could visit Alsace, Burgundy and the Loire Valley on a fun multi-region extravaganza! Contact us on 01920 468666 for more details, or pop an email to info@grapeescapes.net.